Three months ago, in early November the UNFCCC summit (COP, Conference of the Parties) took place in Marrakesh. After the ratification of the Paris Agreement last year the task is now how best to fill it with life. Present as an observer I followed the gathering of the 197 Parties (196 States + EU) of the UNFCCC (United Nations Framework Convention on Climate Change) and sought to answer the following questions: What are the core subjects of the negotiations? What progress has been made since Paris? And what is there still left to do? The following text is a preliminary attempt to answer these questions, and thereby a rough summary of the outcomes of the summit. Further related resources can be found at the end of the text. “Holding the increase in global average temperature to well below 2 °C above pre-industrial levels and pursuing efforts to limit the temperature increase to 1.5 °C above pre-industrial” is one of the core paragraphs of the Paris Agreement. The current pledges of individual countries, however, aren’t even sufficient to stay below a 2°C limit (according to climateactiontracker.org, we would reach a global mean temperature of 2.8°C by the end of the century). Thus, the national plans to decarbonize need to be adjusted. Here, it is intended that poorer countries are supported by richer countries. In Paris it was agreed on that industrialized countries would contribute 100 billion US $ yearly from years 2020 – 2025 to a Green Climate Fund in order to support mitigation and adaptation measures in poorer countries. So far it is not clear where this money should come from, or the degree to which the private sector should be involved. Similarly, plans on how this money will be spent and distributed still require detailed elaboration. A further issue is the installation of loss and damage mechanisms for compensation for climate catastrophes. As a topic which has been on the agenda since the 2013 negotiations in Warsaw, this is a question of how regions that contributed the least to a changing climate can be effectively secured, and if necessary, compensated after climate catastrophes such as droughts, heatwaves, floods or storms. Further, the question must be asked if it is possible to assign a monetary value to every loss. Starting with a dry run in 2018, a global stocktaking process will take place every five years examining the implementation of the measures agreed on and recorded in the Paris Agreement. Before then the rules under which success and failure can be evaluated and compared on a common basis need to be defined. An international Rule-book of the Paris Agreement is necessary. The summit in Marrakesh started under positive preconditions. The Paris Agreement was ratified by enough countries, and faster than initially expected and thus came into force just a few days before the opening plenary at Marrakesh. Thus, for the first time not only the COP (Countries under the framework of the UNFCCC) and CMP (countries under the framework of the Kyoto Protocol) but also the CMA (Conference of the Parties serving as the meeting of the Parties to the Paris Agreement, the group of those countries who ratified the Paris Agreement) were assembling. However, on the third day the unexpected result of the US presidency overshadowed the negotiations. Trump’s statements on the issue of climate change during the campaign raised grave concerns of a reorientation of the US climate policy under his presidency. His current designated candidate for the Environmental Protection Agency (EPA) Scott Pruitt a climate change denier and Trump’s recently announced plans to cut NASA’s Climate Science programs didn’t achieve to settle those concerns. Even though the US delegate Christo Artusio stressed the “[…] historic practice (of the US) to honour and implement an agreement when it is into force” it is now highly likely that the US will fail to be a positive driving force in climate policies in the upcoming four years. What was decided in Marrakesh and what’s still left to achieve? Discussions on the aforementioned topics were commenced, but specific agreements were made only with respect to organizational questions (e.g. working plans for continuation of the discussions). The most noticeable events this year took place on the sidelines of the negotiations. The first countries (U.S.A, Germany, Mexico, Canada) submitted their long-term climate plans (leading towards 2050). A platform was initiated with the purpose of offering support to other countries for following this lead. Additionally, the “Climate Vulnerable Forum” a union of the 47 poorest countries announced their intention to switch to 100% renewable as soon as possible. In another flicker of hope, just before the negotiations ended it was announced that for the third year in a row, global emissions haven’t risen. A key paragraph of the Marrakesh Proclamation stated: “ […] we have seen extraordinary momentum on climate change worldwide, and in many multilateral fora. This momentum is irreversible – it is being driven not only by governments, but by science, business and global action of all types at all levels.” There are many indications that these are not just empty words. Moving forward the Paris Rule Book needs to be in place by 2018 at the next meeting of the CMA. Preparing this will remain on the to-do list of the upcoming COP23 which take place in Bonn (residency of the secretariat of the UNFCCC) under the presidency of the Republic of Fiji. Many thanks to Amy Howden – Chapman for comments and editing. This text appeared first in German at the Blog: Klimalounge – Nah dran am Wandel. More on the history of the UNFCCC: http://unfccc.int/essential_background/items/6031.php . The current status of the ratification of the Paris Agreement Status and information on the tasks of the CMA: http://unfccc.int/paris_agreement/items/9485.php . 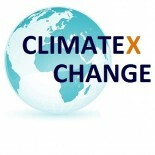 This entry was posted on January 9, 2017 by Climate Exchange in Climate Change Mitigation, Climate Change Negotiations, Uncategorized.